The Saturday Mothers gathered for the 718th time to demand justice and truth about the fate of their relatives who disappeared while in state forces custody. Once again they were forced to hold their action under the police blockade. HDP deputies Hüda Kaya, Oya Ersoy and CHP deputy Sezgin Tanrıkulu attended the action together with actor Nur Sürer. 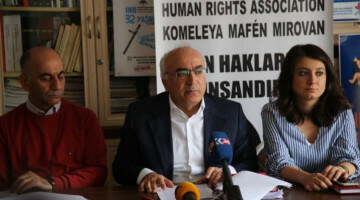 Closing the 2018 with a final statement in front of the Human Rights Association (IHD) premises, Istanbul Branch member of the Commission for the disappeared, Sebla Arcan, said that the same determination shown all those years by the families and relatives of the disappeared will be shown in 2019. Arcan reminded that they were not in Galatasaray for the new year and added that Galatasaray Square, which had been taken by police since 25 August 2018, was surrounded by steel barriers and had been actually taken into custody by heavily armed police. 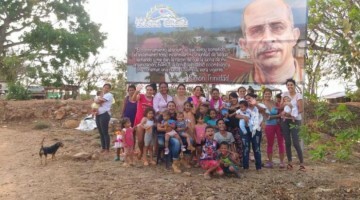 Arcan added that the State that is the interlocutor of the legitimate demands of the Mothers has answered with TOMA, shields, detention vehicles, weapons and gas bombs. 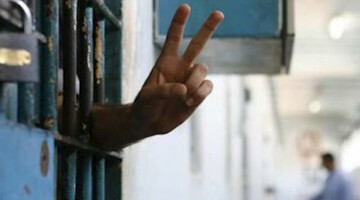 - Stop practices that lead to arbitrary and violent rights violations. - Lift the police blockade of Galatasaray. - Freedom of expression includes the right to choose the venue [of an action]. Since 27 May 1995, our meeting place has been Galatasaray where we read our peaceful statements. Put an end to the ban on using it. 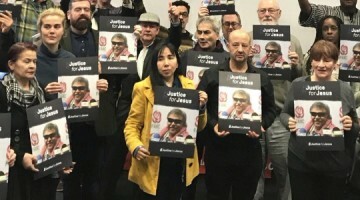 - Show us that you have the political and judicial will to carry out whatever necessary to allow the disclosure of what really happened to our disappeared and to bring the perpetrators to justice in a fair trial. The statement added: "When the relation between citizens and the State is not one based on democracy and human rights, it becomes a relation where lawlessness primes, as it is in Turkey. We will not give up Galatasaray." 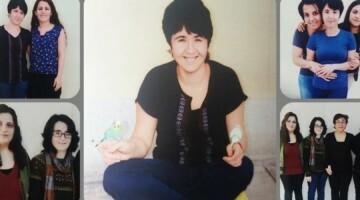 After the statement, Ayşe Tepe spoke of her brother, Özgür Gündem reporter Ferhat Tepe, who disappeared while in custody. Tepe said that the use of democratic rights is persistently blocked, and added: "For us, the past years were painful and difficult. We cannot enter into any new year with enthusiasm and happiness. We have been in pain for 23 years. We want no one to suffer this pain. We want no one to disappear in 2019."